For the first time ever, R’damnit brought a ladies team to indoor competition: the R’dames! 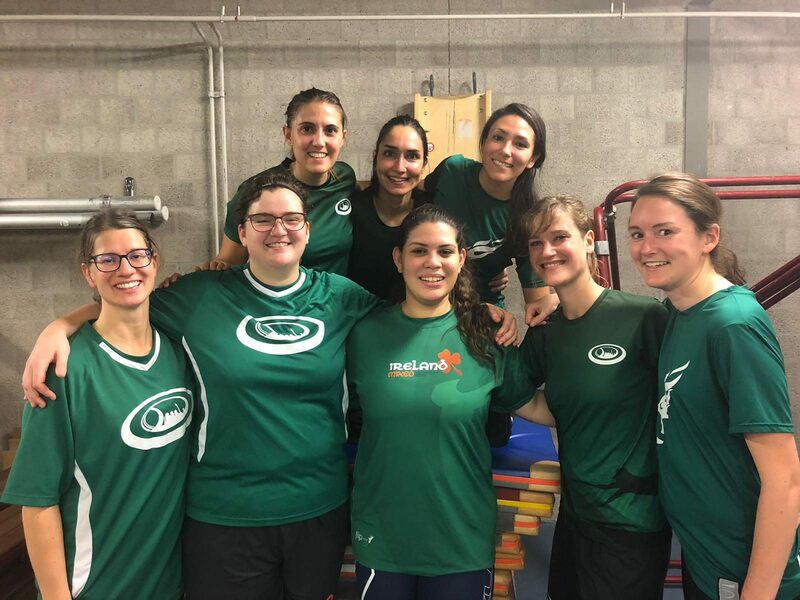 Starting in the third and lowest division (as we entered the competition for the first time), we got a chance to try out our indoor skills. And were more successful than expected, as we won all four matches of the day and got promoted to the second division! This first round of matches allowed us to get to know each other in indoor context. To try out some first offensive and defensive plays (especially our ‘cupcake’ defence strategy turned out very effective). But it also gave us some helpful pointers on how we need to improve to do well in the second division also. With a special thanks to the ladies joining us from Ultimus Prime. Looking forward to the next competition day! For the first time, R’damnit fielded an open and ladies team for the winter leagues. The open team headed to Arnhem, being placed in the 5th division. Bringing a mix of experienced and new players for the challenges that day. First up was Rising High. Always fun and well matched. After an early break, we were trailing one point up until 8 – 8 on the scoreboard. Rdamnit bringing an outdoor type of play, because we haven’t mastered any other play style. Rising high being a bit more adapted to true indoor. At 8 – 8 we managed to break back and lead to a 12 – 9 win. Next up was Gronical Dizziness, playing an intense defence, denying Gronical Dizziness many of their long throws into the end zone led to an early lead and a comfortable victory. Looking at the results of the day, Airborn looked like the victors of the day, going one division up. Yet again playing an intense defence, coupled together with a solid offence led us to be the victors of the 5th division, with still one match to play before the end. All in all, it was a really nice day playing ultimate frisbee, playing in a competitive division. Coming away with 4 wins made it all the more enjoyable. 4th division, we will see you in December!